Floors in manufacturing facilities are known to take a significant beating. This is exactly the situation A & B Flooring, Inc. encountered when it was asked to resurface a concrete floor in a transmission plant in Kokomo, IN, owned by Chrysler Group. 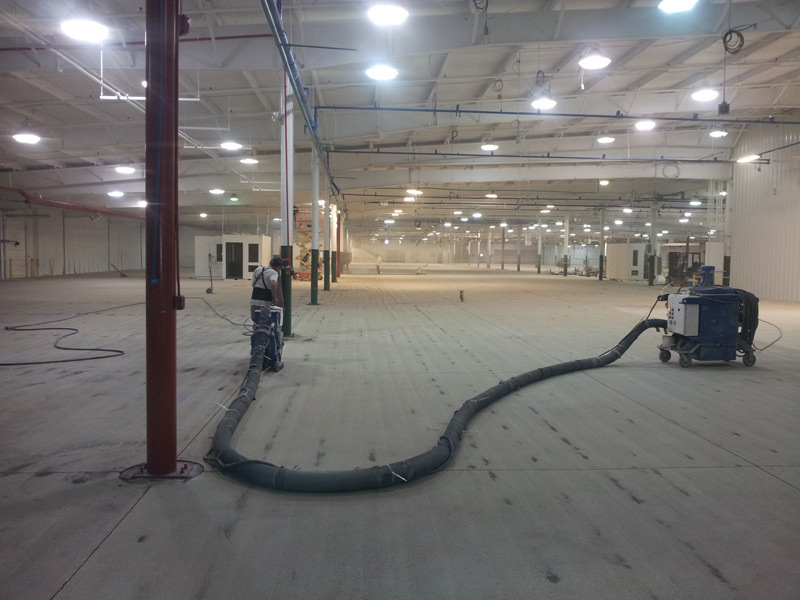 Floor preparation for proper adhesion is critical in these applications, and A & B is able to provide shotblasting, diamond grinding, scarifying, and scabbling services when necessary. In this instance, A & B first repaired severely damaged concrete in the factory’s aisle ways by prepatching areas with epoxy aggregate material as much as 6” in depth, closely following Chrysler’s specifications for the custom resurfacing project. After the patched areas set, A & B applied S-1014 epoxy resurfacers, which are 100 percent solids, two component epoxies with aggregate fillers. A self-leveling color flood coat of 100 percent solid epoxy was used for the finish coat, after which 4” yellow striping was applied for safety purposes. 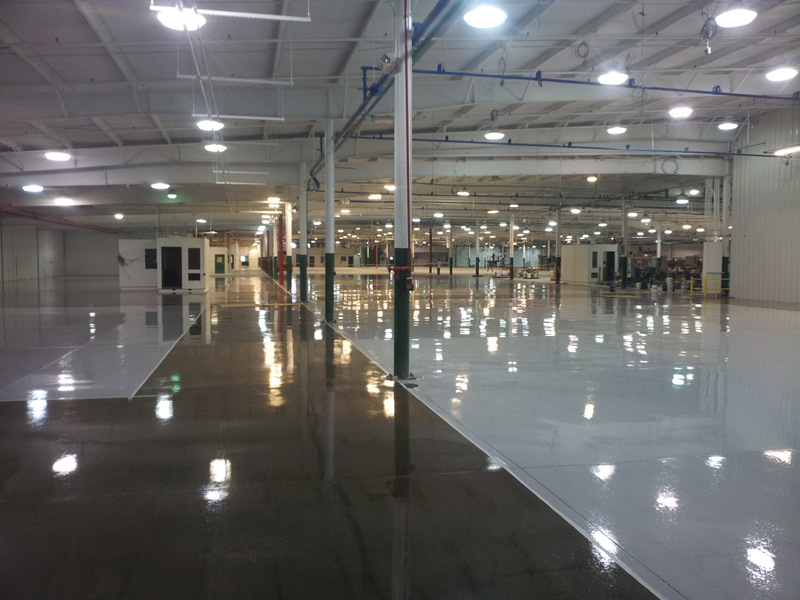 High-grade epoxy patching of severely damaged concrete followed by meticulous surface preparation resulted in a successful custom floor resurfacing project for a major automobile manufacturer. 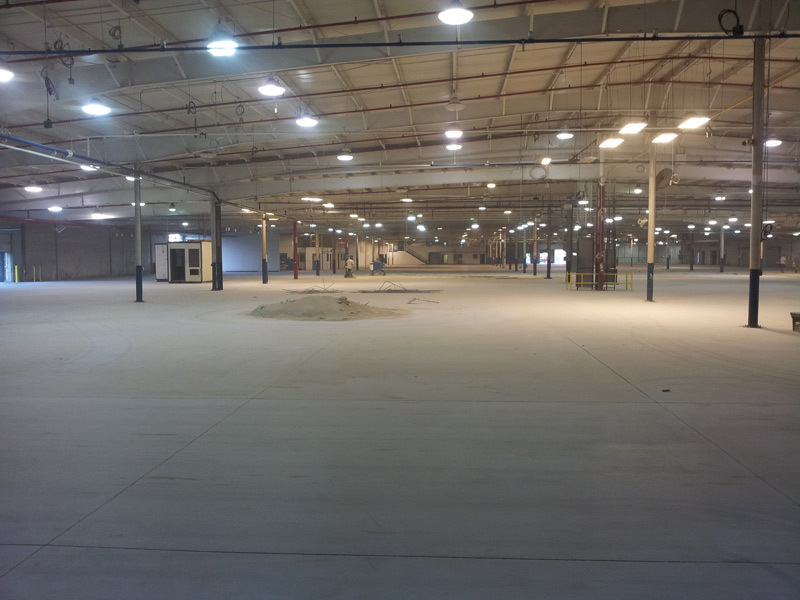 Contact A & B Flooring to find out how they can resurface your damaged industrial floors and return them to service.